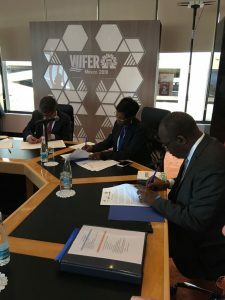 On the occasion of the VII World Forum on Energy Regulation taking place in Cancùn, energy regulatory Associations from developing regions of Africa, the Mediterranean, Central and South America, Central and Eastern Europe, Middle East and Asia signed a cooperation agreement to put their resources in common and jointly work on energy topics of common interest. 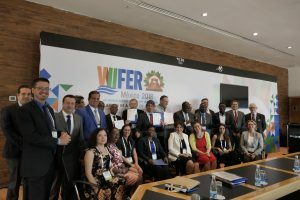 With this protocol, the signatory associations, whose members represent new and emerging energy markets, formalised their desire to establish a beneficial cooperation and enhance synergies through the sharing and elaboration of research documents and publications and through the joint support of the Parties’ events and activities. More specifically, the regulatory Associations will organise study visits between delegations of their members, conduct benchmark and case studies and cooperate with each other on an ad-hoc basis. They will also get involved in the capacity building of member organisations, involving each other in their training programs, thus maximising their impact by offering them to a wider regulatory community. Regulators will also be able to propose new areas of cooperation during the physical meetings. 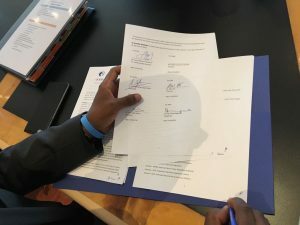 Under the umbrella of the new agreement, ERRA and MEDREG have already agreed to organise a joint training later this year on “Market functioning and Market monitoring tools”, which is of common interest for the two Associations, and open to other interested signatory parties. This first activity should open the way to many more in the next years. AFUR was founded in November 2002 and the establishment of AFUR was again supported in the Declaration of the First Conference of African Ministers Responsible for Electrical Energy (FCAMRE), held in Addis Ababa, Ethiopia, from 20 – 24 March, 2006, amongst others, (19/f) committed to: “…encourage the establishment of Regulatory Associations at the regional and continental levels, support and strengthen the African Forum for Utility Regulation (AFUR)…” and a further Memorandum of Understanding regarding collaboration was signed with the NEPAD Planning and Coordination Agency (NPCA or the NEPAD Agency) in 2011. ARIAE ARIAE was established in March 2000 in Argentina, gathers 23 energy regulators from 15 Iberoamerican countries, and provides a forum for communication and debate among specialists and professionals of the entities comprising it, in order to promote the exchange of regulatory experiences, share knowledge on energy regulation, promote staff education and capacity building and promote cooperation in common interest activities, including the research and development field. ERERA was established by Supplementary Act A/SA.2/1/08 of 18th January 2008 of the Authority of Economic Community of West African States (ECOWAS) Heads of State and Government with the mandate of regulating cross-border electricity exchanges, creating an enabling investment environment for regional power projects and providing technical support to national regulators of the electricity sector of ECOWAS Member States. 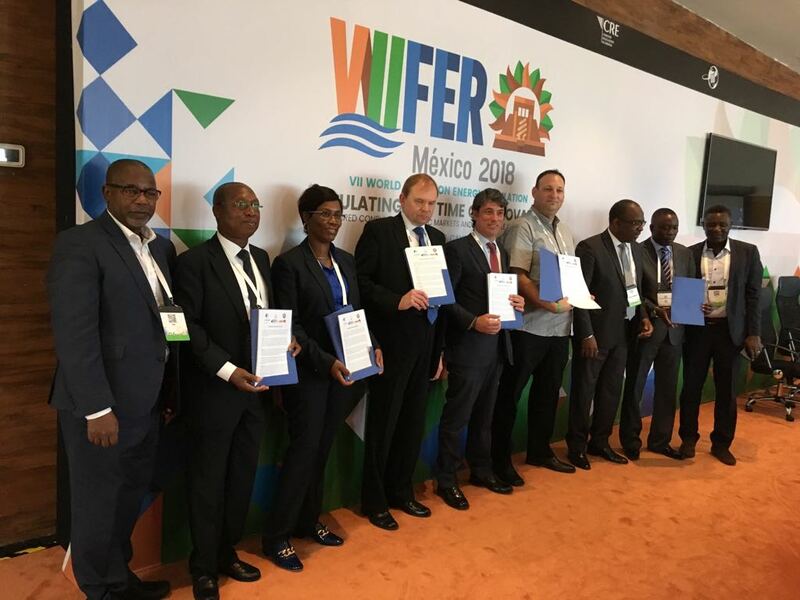 ERRA was founded in 2001 with the purpose to improve national energy regulation in member countries (including enhancing regulatory methods and practices); foster development of stable Energy Regulators with autonomy and authority; and improve cooperation among Energy Regulators. There are now 30 full and 7 associate members working together in ERRA. The objectives of the Association are to increase communication, exchange of information, research and experience among Members, and increase access to energy regulatory information as well as experience around the world and promote opportunities for training and provide educational and training programs related to the purpose the Association. MEDREG is the Association of Mediterranean Energy Regulators, born in 2007 under the Italian law. MEDREG gathers 25 regulators from 21 Mediterranean countries. MEDREG promotes a transparent, stable and a common approach to regulation in the Mediterranean region with the aim to promote a transparent, stable, and compatible regulatory framework in the region and to foster market integration, infrastructure investments, consumer protection and overall energy cooperation. MEDREG carries out its activities through a well-structured and effective internal cooperation process and external collaboration with energy stakeholders in the Mediterranean Basin, based on a bottom-up approach. MEDREG is co-funded by the European Union. RERA was established on 12 July 2002 by the Ministers responsible for Energy of the Member States of Southern African Development Community (SADC) as the Regional Electricity Regulators’ Association for the SADC countries whose main objective is to facilitate the adoption, harmonization and implementation of regulatory policies, legislation, standards and practices that are in line with international best practices, to be a platform for effective cooperation among energy regulators within SADC region and to promote the development of a conducive regulatory environment for the improvement of the regional electricity regulation.